We know there is not enough time in the day. Do not worry we can take some of the burden off of you. We can pick up your pooch in our Dog Taxi. Let us do the driving so that you can concentrate on getting out of town for that big vacation, family outing, or business trip. We can also deliver your pooch after their pet training is completed. 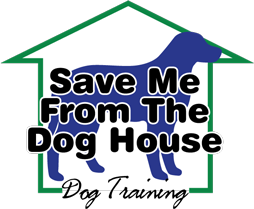 Your pooch will ride in air conditioned comfort and spoiled rotten at Save Me From The Dog House. Call us today for reservations and scheduling.